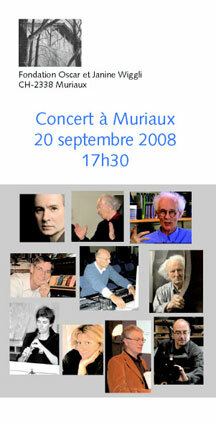 2009, the Republic and Canton Jura awarded Oscar Wiggli with the prize of Arts, Literature, Sciences and Arts. The ceremony took place the 2nd of October on the Esplanade of the Castle in Porrentruy. 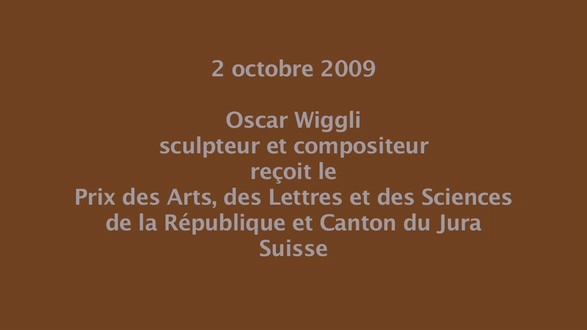 That evening a musical homage to Oscar Wiggli took place in the Galerie du Sauvage in Porrentruy. 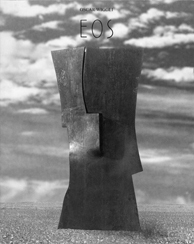 Présentation dans la salle d'exposition de EOS, 1989 Sculpture pour la République et Canton du Jura. 1979 – 30 years ago the Republic and Canton of Jura became independent. 1989 – 20 years ago the Republic and Canton of Jura organised a competition in order to celebrate their 10 years of independence with a monument. Oscar Wiggli presented a project and and was given the commission for its realisation. His project, a sculpture, was given the name EOS and was erected on the Esplanade of the castle in Porrentruy. It was then inaugurated in November of the same year. EOS is now 20 years old. 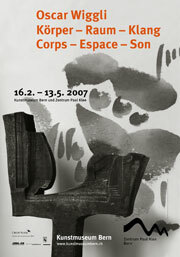 2009 –	The foundation recalled this event by presenting photos and a video from the time, all showing the progress and development of this big sculpture. Cet alliage d'acier spécial est destiné aux ouvrages exposées aux intempéries. La sculpture a été réalisée entièrement par l'artiste. Hans Tutschku and Roger Meier each wrote a piece which they dedicated to Oscar. Each composer, except for Hans Tutschku who was held back in the USA, came to present his piece. It was Gille Gobeil who presented Hans Tutschku's piece. For the occasion, Oscar Wiggli presented his last audio-visual piece, ENESIA. The composers were introduced by the musicologist Kjell Keller before sharing a few thoughts concerning their pieces with the public. The auditorium was totally filled with an attentive public who gave the performance a standing ovation. The event was given a good review by the press.